How Do I Replace My Car’s ECM? Posted on March 18, 2019 March 18, 2019 by carcompblogComments Off on How Do I Replace My Car’s ECM? If you own a car or truck long enough, there will come a time when you are faced with the question of whether or not to replace your Engine Control Module (ECM). It’s just a part of car ownership, especially as your car gets up in mileage. ECMs can, and do, go bad all the time. The good news? The answer to the question “Is it hard to replace an ECM?” is NO! The parts themselves aren’t inexpensive (as long as you’re buying them from us! ), plus high quality aftermarket and OEM ECMs can be easily installed yourself. How Do I Remove an ECM? Checking all wiring for intermittent shorts, either with a voltage tester, or by the “old-fashioned” method of giving the wires a good shake! If you’ve done all this, and still haven’t gotten to the root of your ECM problem, it may be time to look at replacing the entire module. Fortunately, ECMs have progressed in design to the point that they’re now “plug and play” and come pre-coded to work with your particular vehicle. Here’s some helpful tips on replacing the ECM on some of our most popular manufacturers’ vehicles. Depending on the model and model year of your vehicle, actually finding the ECM may be the hardest part. Some late-model Dodges place the ECM under the cabin air filter, others have it mounted next to the battery, on the opposite side of the engine bay! Check your owners’ manual for the precise location of your ECM. From there, it’s a simple matter of finding the screws or bolts that hold the ECM in place, loosening them, and removing the old ECM. You’ll have to disconnect the pins and wires from the mounting, again remembering to check for any signs of corrosion or wear, and then just pop the new module into place, fastening the screws down. If you purchased your module from a specialist who made sure it was coded correctly, then your vehicle should fire right up! GM (Chevrolet) ECMs are much more reliably placed in the general vicinity of the battery, so finding the ECM on a GM vehicle shouldn’t be as tricky as some of your Chrysler/Dodge vehicles. However, the irony is that while finding the ECM is simpler with General Motors vehicles, resetting the ECM to “talk” to the vehicle can be a matter of trial and error, especially if you purchased your ECM without any instructions. 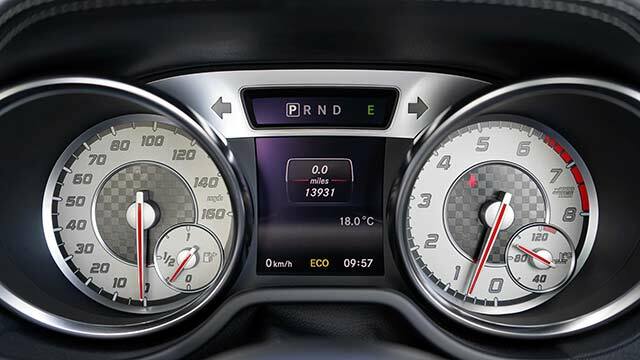 Some GM vehicles require a certain number of seconds of turning the ignition to ACC followed by a certain number of seconds in the OFF position, repeated several times. Your owner’s manual, or OEM website should have more details. In general, the best way to reset the ECM is to follow the manufacturers recommendations, which can be found on the OEM websites for the various GM brands. The rule of thumb, regardless of brand, however, is to disconnect and drain the ECM of any electrical charge, since most ECMs are designed to store reserve power in case of battery failure. In order to sync an aftermarket ECM up to your vehicle, you will need to make sure that there is no information previously stored in the ECM that might be interfering with your vehicle’s operation. Again, replacement ECMs, especially from junk yards, may have old information stored in the battery backup and will need to be cleared first before your GM vehicle will accept the part. Toyota’s vehicles, like Dodge or Chrysler, can be tricky to locate and remove the ECM. The world-renowned Japanese auto maker typically places their ECMs inside the cabin of the car itself, usually behind the glove compartment. This means that you need to remove the side panel of the dashboard to access the ECM in your Toyota. But again, prior to doing anything with the ECM, make sure you’ve disconnected the battery to avoid shocking yourself accidentally! Once you’ve located the ECM, it’s a simple matter of disconnecting, and reconnecting a new module, although you may have to let the new module sit for 10-15 minutes before its fully synced in with the engine and control systems of the car. Ultimately, each of the main automotive manufacturers have their own unique characteristics when it comes to your ECM. Some locate the ECM in different places in the engine bay, or outside of it. Others require different procedures to get the ECM to “talk” to the engine upon replacement. Whatever brand of vehicle you drive, you’ll save yourself a lot of time, and frustration, by familiarizing yourself with the OEM instructions, as well as any instructions that you receive when you purchase your new ECM. While the technology itself is designed to be “plug and play” a familiarity with your vehicle will massively help you in quickly and correctly installing your new ECM and getting you and your family back on the road again!